Our goal is to provide you with the highest level of surgical skills and artistry, combined with a warm and compassionate environment. We're devoted not only to meet your surgical and personal expectations, but to exceed them. Dr. Tyrone graduated from medical school at the University of South Florida at the top of his class. After Medical School, he spent five years of general surgery training at the University of California (SF-East Bay). He received his plastic surgery training at the prestigious Emory University, one of the top programs in the nation. Dr. Tyrone has been awarded multiple honors throughout his career, including Intern of the Year, Residency Advisor, and Chief Resident, as well as America's Top Surgeon and Patients' Choice Awards. 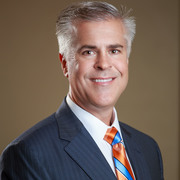 Most recently, Dr. Tyrone was recognized as one of the 10 Best Plastic Surgeons in Florida by the American Institute of Plastic Surgeons. Just upload three standard pictures today to see a 3D simulation during your next appointment with Dr John W. Tyrone. Before the consultation, you can visualize your current 3D body or face and, after the consultation, get access to see your new look from home so you can share with friends and make a better-informed decision. After the consultation, Dr John W. Tyrone may let you access your "new you" from home with your own Crisalix account. This will allow you to share it with your family and friends or anyone you would like to get their advice.